Looking for fall cookie ideas? 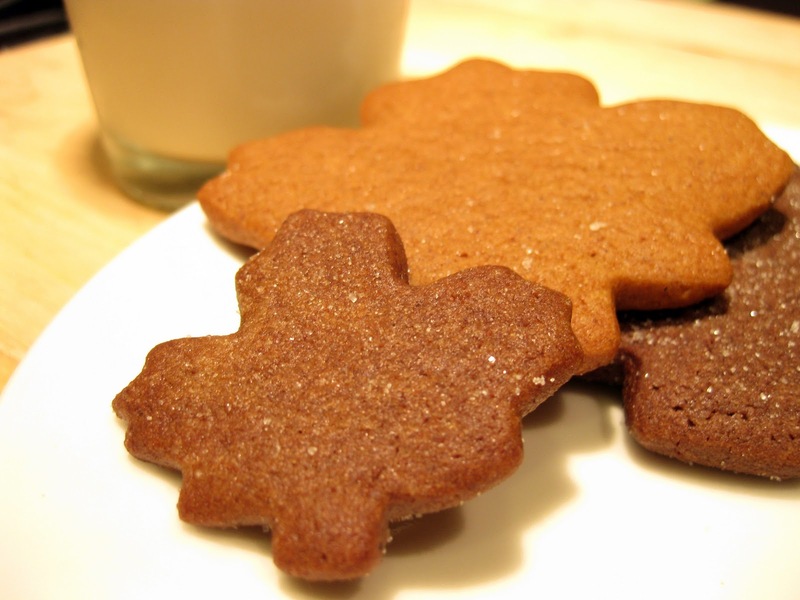 Grab your leaf cookie cutters and a gingerbread cookie recipe, and get started! Cookie cutters have a stale reputation thanks to the humdrum sugar cookies they're often used to make at Christmas time. 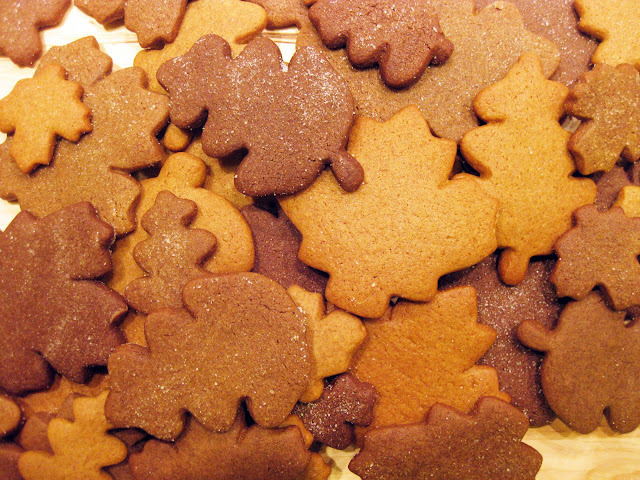 But behold the awesomeness of gingerbread leaves in autumnal shades! Oak leaves, maple leaves, ooh la la. 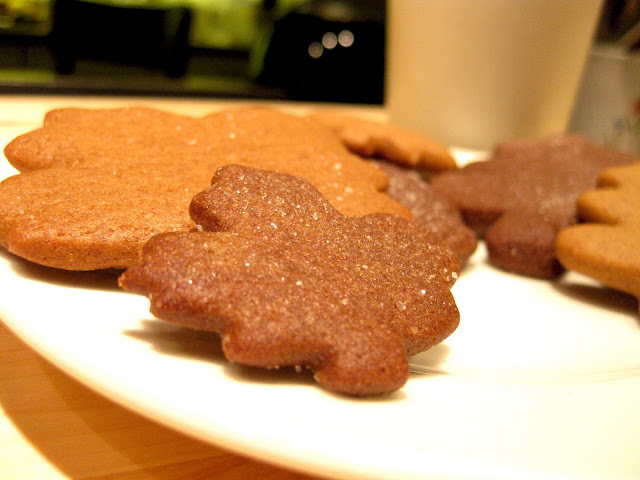 All it takes are a gingerbread cookie recipe and some fun maple and oak leaf cookie cutters. These fall cookies were festive and fun. 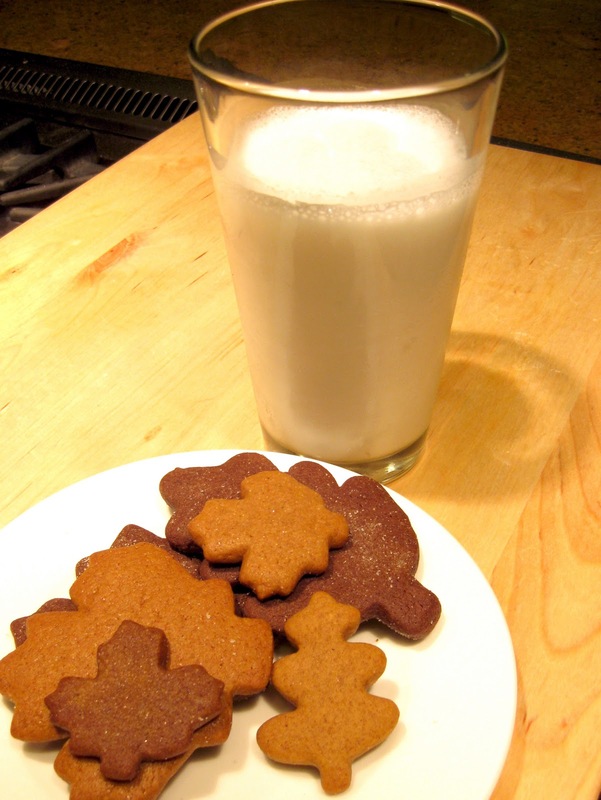 Any gingerbread cookie recipe will do! Not only were they chewy and delicious, but the variety of colors these cookies sported also lent a festive air to the table. Edible decorations! Thanks to a liberal application of decorative sugar crystals, they sparkled, too. My friends were oh-so-happy to "rake them up" for me. You can vary the "shade" of your leaf cookies by dividing your batter into thirds and adding varying amounts of cocoa powder to each batch. In total, I made three batches of cookies: I added 5 ounces of melted bittersweet chocolate to one batch of dough and 3 ounces to the second batch (though the difference in color between the two was hard to detect). In the third batch, I reduced the molasses from 1/2 cup to 1/4 cup, replaced brown sugar with white sugar, and added a little milk (a little less than 1/4 cup) to replace the moisture from the molasses that I removed. These fall cookies were a delicious addition to the table.